On Sunday the 25th of September I ran the inaugural Disneyland Paris Half Marathon. I can’t review the race without mentioning the theme parks. I’m sure local people can participate in this race without visiting Disneyland, but for me, part of the joy of this race is combining it with a long weekend visit to Disneyland Paris, Disney Studios, and Disney Village. This is a race review, but needless to say, I had a great time in the parks, on the rides, in the restaurants, shops, and everywhere else. The race itself was easy to sign up for online. To complete the registration I needed a doctors cert saying I was healthy enough to run, which was a first for me but apparently its pretty standard for France. Race bibs and commemorative shirts were available for collection throughout the weekend at the RunDisney Health Expo. From sign up to bib collection is was a smooth operation. Security on race day was tight, bag and people scanners, like those at an airport, had to be passed through to get to the starting line. The race was due to start at 7am but there was a 10 minute delay “for our security”. The beginning of the race brought us through Disney Studios, followed by Disneyland, which combined took about 30minutes, and then onwards to the French countryside and nearby towns until we made our way back through Disney Village and the finish line. The parks are fun to run through, the course is flat, lots of Disney character photo points, and once outside the parks there are bands playing music spread every few kilometers for entertainment and lots of water stations. I ran the race in 2 hours, 8 minutes, and 43 seconds, finishing 2,240th out of roughly 11,000 runners. My only complaint after this amazing weekend is that there was no notifications from Disney about race times and no information about when photos will be released, not on the official race website, or the RunDisney facebook page, and no response to the many runners who posted requesting information. Disney finally posted the results on the 29th, 4 days after the event. Overall, this is a great race and one I hope I can do again sometime in the future. Below is a 4 minute video of some the best bits. On Sunday the 14th of August I took part in the Wild Air Run in Marlay Park. I hadn’t heard about this race until Saturday the 13th, but it looked fun so I signed up on a days notice. Luckily there were still places available for the 10am wave. Signing up for this race on short notice was not a problem because its a race for fun. Its a 5km race, which is an achievable distance for most people to run, and its not timed so if you wanted to walk a portion of it, or all of it, thats fine. At some of the obstacles you had to queue to get in/on them so this was one 5km race where personal bests weren’t going to be beaten, a competitive attitude was best left at the starting line. I thought it was great just running around for the fun of it, a reminder that fitness need not be a chore all the time.The course was made up of 10 inflatable obstacles, each one with a race official armed with a water gun. For a first time race it was organised very well. I signed up online, downloaded my e-ticket, and collected my race number on the day, all without a hitch. The only problem was of my own making when my Go-Pro stopped working. I would definitely like to see more novelty races like these, which inject a bit of fun into running, in the future. Some photos of the day and a video of (some) of the obstacles below. I took part in the Glen to Glen half-marathon on May 28th. It was the inaugural Glendalough half-marathon and accompanying marathon. Its been nearly a year since I last took part in a race, the Viking Quarter Marathon, and it was good to get out again in a racing environment. For an inaugural race, it was organised extremely well. Multiple information emails were sent prior to the race, and registration and race number collection were easy. The race started 5 minutes late (I’ve seen worse), and teas, coffees and a generous amount of baked treats were available at the end. For a first time race, organised by a local running club, I was pleasantly surprised by the quality of the finishers medal, which is a great addition to any collection. Glendalough is a great location for a race. The scenery is stunning and the only sounds are birds, sheep, rivers, and runners on pavement. Its amazing that such an idyllic county location is only a 40 minute drive from Dublin city (60 minutes if you get stuck driving behind cyclists). Bit worse for wear, but job done! My New Year’s resolution, to keep moving. I went for my first run of 2016 today in the Phoenix Park. The phoenix seems an appropriate metaphor, a new you emerging from the ashes of the old. I quit the gym a few years ago and decided to focus instead on movement, bodyweight exercises, and running. Why? Because I realised that even with all my gym sessions, I still lived a mostly sedentary lifestyle. The main culprits behind my (and everyones) lack of movement include: reduced amount of active human transport (walking, cycling), increased sedentary leisure pursuits at home (television and computer based activities) and increased amounts of seated desk based office work. The Lancet published a series of papers based on national statistics from around the world which stated that globally, 40% of individuals with cardiovascular disease, diabetes or cancer, failed to achieve the minimum recommendations for health of 150mins/week of moderate-intensity physical activity. In high income countries in Europe and North America, this figure rose to 70%. My goal is to maintain where I’m at now, and to try and increase the types of complexity of the movements I do. I’m a million miles away from the abilities of the people that inspired my current training, Rene Borg, Jason Kehoe, and Ido Portal, but my advice is to focus more on the process, not the end goals. If you stick to the process, you’ll achieve your goals eventually, but if you set yourself goals within unrealistic timeframes, it can be disheartening if you miss them. Set yourself some 2016 goals, create a process to achieve them, and get to work. 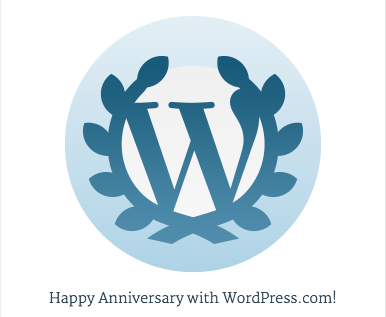 WordPress has informed me that I’ve been blogging for one year, and rewarded me with the badge below. I started my blog as a creative outlet, I find that writing is good for the soul and a nice break from my normal routine. Fitness is a passion of mine so thats the theme I picked. I’m not a master of any particular type of fitness so I can’t say for sure that my blog has been of any use to anyone other than myself, but hopefully at least one person has found a nugget of information that has been helpful. My first blog post (which you can read by clicking here) was about running, because I had just reached 1,000 miles on the Nike Plus App. I thought it would be fun to have an update on that. In the year that has past, I’ve run a further 329 miles. The pessimist in me says thats less than a mile a day, which is disappointing, but the optimist in me says its the same as running 12 marathons in as many months. I try to run at least 3 times a week, two timed runs of 30 minutes each and one distance run. 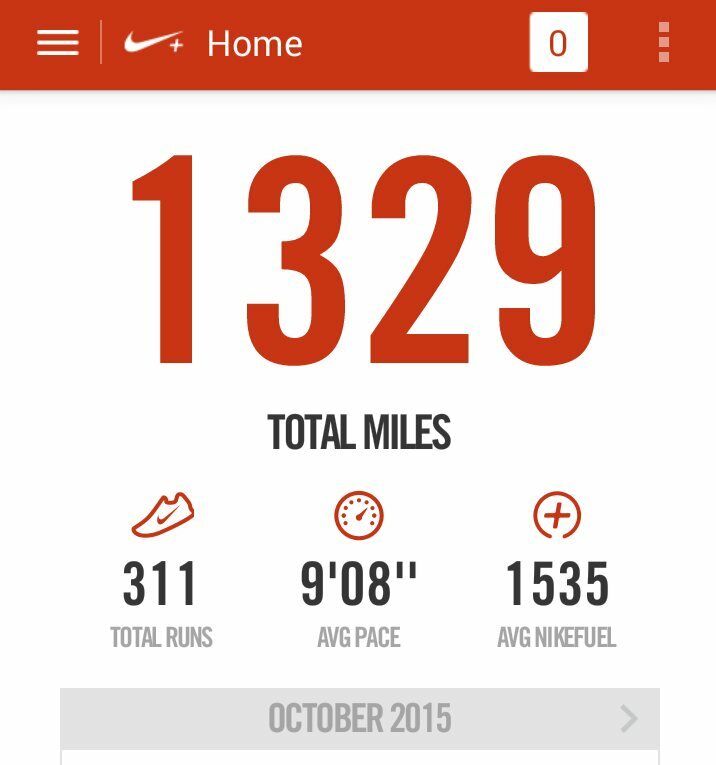 I hope to improve upon the last 12 months and run further than 329 miles between now and October 2016. The best way to do this is to plan ahead and sign up for some races, nothing motivates like a goal. I didn’t sign up for many races over the last 12 months, and often, when I discovered races I wanted to do, they were too close which didn’t allow enough time for me to train appropriately. My new plan is to find some races over the next 12 months that interest me, sign up for them early, and train towards them. How does the saying go, “failing to plan, is planning to fail” – its as true in fitness as in anything else. 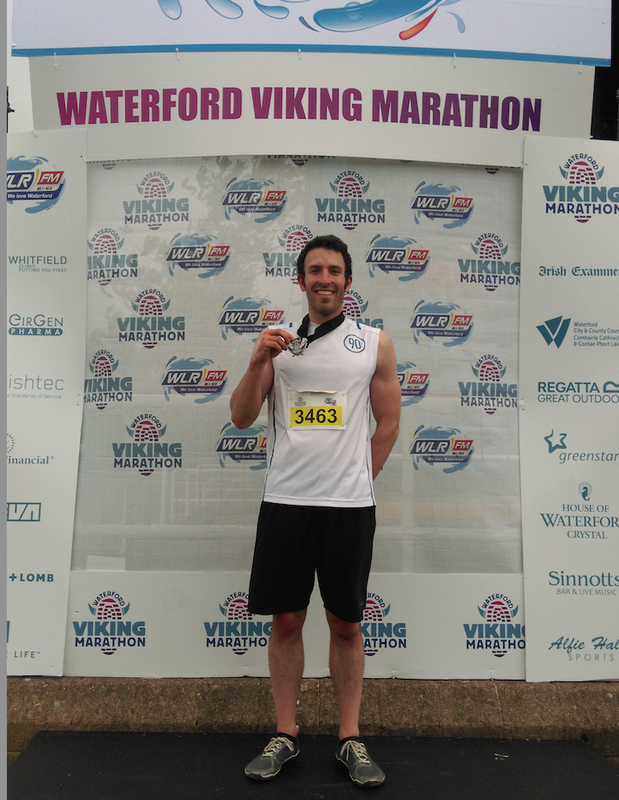 On June 27th I ran the Waterford Viking Quarter Marathon. I had to travel to get to Waterford so it was good that race number collection went on until 9pm the night before the race. There was lots of race staff at race number collection, lots of staff the next day for bag drop, and even a shuttle bus back to the city centre once the race was over. A very well organised race. The route was an enjoyable one, starting in the Mall between the Medieval Museum and the House of Waterford Crystal. The Full, Half, and Quarter Marathon runners all started together and followed the same route at the beginning, taking in lots of narrow side streets, the tower, the waterfront, its an enjoyable and scenic route. The saddest part was when the course split, with Full and Half Marathon runners going right, and Quarter runners going left. How I wish I didn’t have to go left, I would have liked to run the Half Marathon, but I only recently found out about this race and I didn’t have the time to reach Half Marathon level conditioning. This race ended really well, with a lap of the track at the Waterford Regional Sports Centre. And the medal is one of the coolest I’ve gotten. I ran the race in 58 mins and 32 seconds, not too fast, but an enjoyable pace throughout, and challenging at times up the hills and in the heat. Next year I’ll plan my races a bit better, and maybe come back and run the Half Marathon. If you’re looking for good races to do in Ireland, this is one of them.